Owning material things from expensive homes to luxurious cars turn out to provide less happiness than holidays, concerts and special occasions. An exercise that they suggest is to think of purchases you’ve made to increase your happiness. Consider one purchase that was a tangible object that you could keep – iPhone, clothes etc. Then think of a purchase you made that gave you a life experience – holiday, concert or a meal out. Remembering the experience brings to mind friends and family, sights etc. Which of these purchases made you happier? For residents in a city with famous tourist sites there is the inclination to never visit them as they are always there. When something is always there people are less likely to appreciate it. However limiting our access to something may renew our capacity for pleasure. Rather than giving up something completely the authors advocate turning our favourite things into treats – afternoon Cappuccino. This also applies to driving a luxury car – research has shown that driving a luxury car provides no more happiness than an economy model. By getting other people to do those dreaded tasks money can transform the way we spend our time, freeing us to pursue our passions. A lot of people fail to use their money to buy themselves a happier time. When people focus on thier time rather than their money, they act like scientists of happiness, choosing activities that promote well-being. For companies this principle entails thinking about compensation in a broader way, rewarding employees not only with money, but with time. Today with the availability of credit access to goods is instantaneous. However by putting this powerful principle in reverse – paying first and taking delivery later – you can buy more happiness as delaying consumption allows spenders to reap the pleasures of anticipation without a short period of happiness. Holidays provide more happiness before they actually occur. Research shows that waiting for something – a chocolate – makes it taste better when we get it. Bill Gates and Warren Buffet pledged the majority of their wealth to charity and they are very happy with that decision. 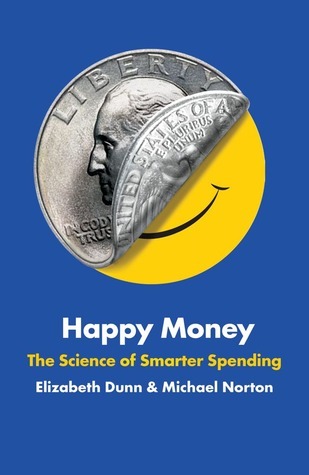 New research shows that spending on others provides a bigger happiness boost than spending on yourself. Investing in others can make individuals feel healthier and wealthier.